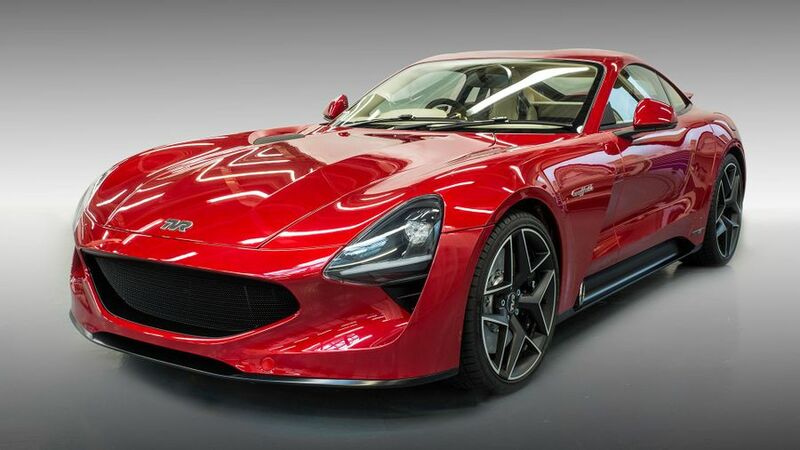 TVR has unveiled its all-new sports car, the Griffith, at the Goodwood Revival. It’s the first new model to be launched since the company was resurrected four years ago. Although the looks of the car pick up very much where the company left off, there’s some cutting-edge engineering underneath. However, in keeping with the new company’s principle of keeping the driver fully in control, the lightweight Griffith uses intelligent engineering over electronic driver aids. To give appropriate levels of performance, the new Griffith has a 5.0-litre V8 engine, which is mated to a six-speed manual gearbox. 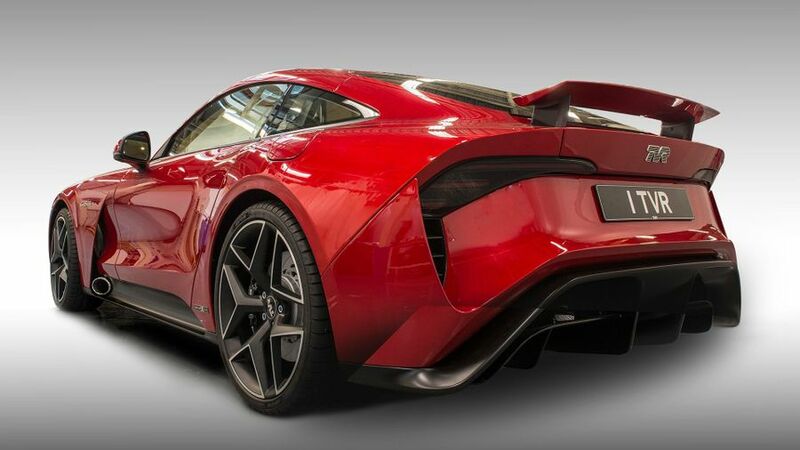 According to the company, that combination will give a top speed of more than 200mph, and the ability to accelerate from 0-60mph in less than four seconds. The car in these pictures is the ‘Launch Edition’, which includes a full leather interior and a bespoke infotainment system. It will go into production in late 2018, with prices starting from £90,000. The company says that the car has been designed to be as striking as it is aerodynamically efficient, and the front end is dominated by the low-set grille, which is flanked by LED headlamps above the deep air intakes, which are necessary to cool the brakes. Along the side of the car, the bulging wheelarches are obvious, as are the exhaust pipes, while the rear lights, too, are LED units. What you can’t see is that the car has a flat floor, part of its race-inspired ‘ground effect’ aerodynamics package. This uses airflow underneath the car to pull it closer to the ground, in turn ensuring that the car handles well and remains stable at high speed. At 4314mm long, the Griffith is a little shorter than a Porsche 718 Cayman; but, for all its performance, the two-seat Griffith has also been deisgned to be usable on an everyday basis. According to its makers, it has plenty of room in the cabin and more than enough luggage and storage space. By TVR’s own admission, the cabin is focused on the driver, with a unique dashboard layout. The infotainment system has been specially designed, and the surfaces are trimmed in leather, with the minimum of controls on show. The car itself is built using technology developed in Formula 1, with the aim of making a car that is both lightweight and very strong. It’s constructed using carbon composite bonded to steel and aluminium, and the car’s weight is evenly distributed, which should make the car handle well. Full details of the car’s specification are yet to be confirmed, but TVR has said that production of the Launch Edition models will start in late 2018, with just 500 of these versions to be built. They will come with a full leather interior and in a wide rage of colours. Prices start from £90,000, and a small number of the first 500 cars are still available. Interested in buying a TVR Griffith?